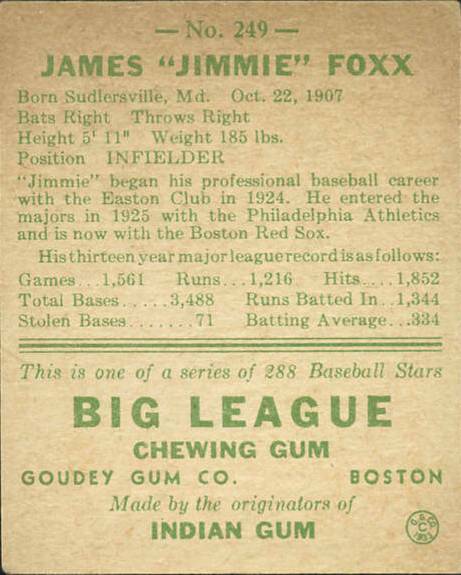 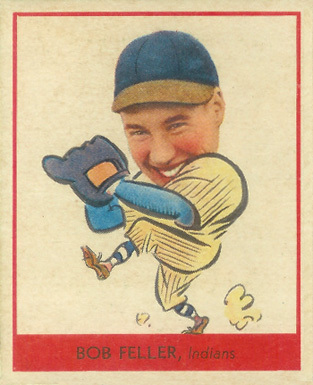 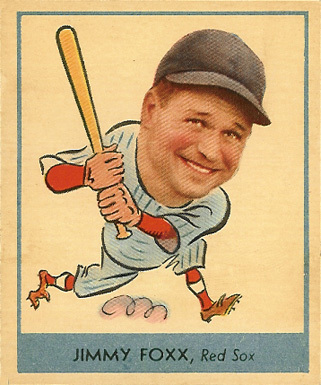 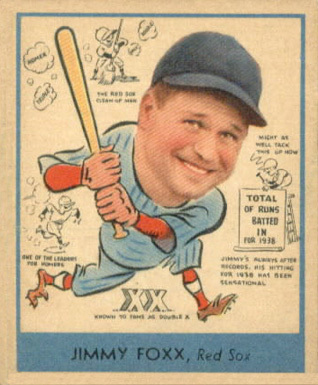 The 1938 Goudey Heads-Up baseball card set consists of 47 cards measuring 2-3/8″ by 2-7/8″. 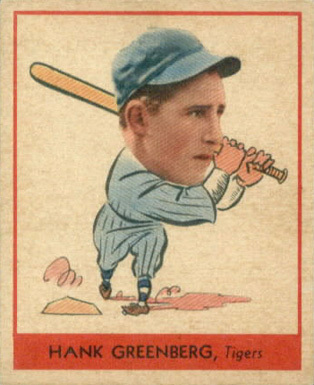 The 1938 Goudey Heads-Up baseball cards are number from 241-288. 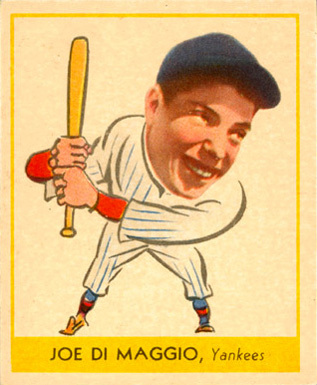 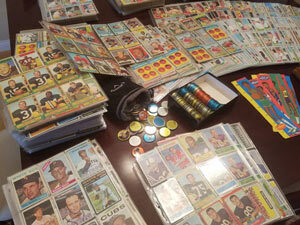 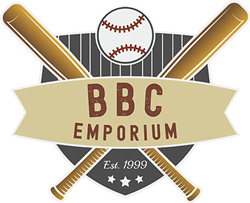 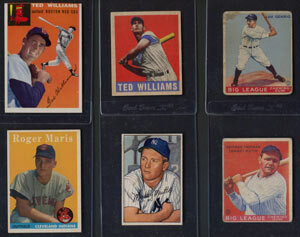 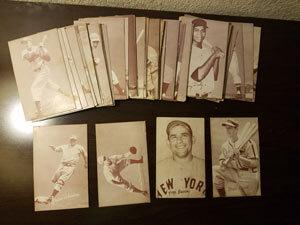 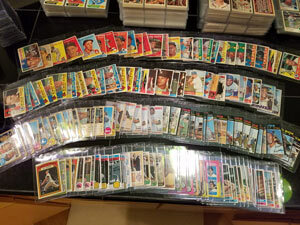 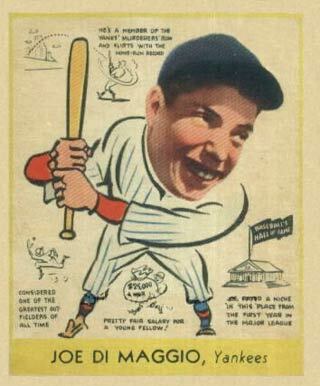 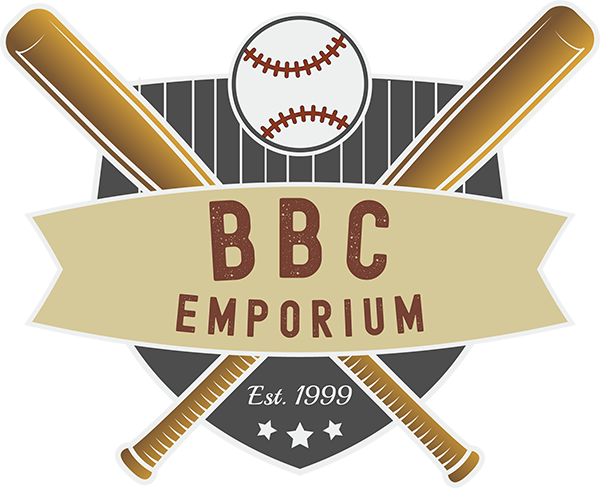 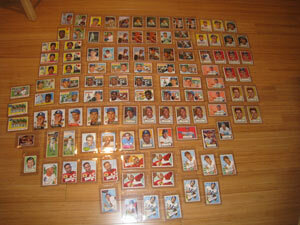 The set is most well know for containing the rookie card of Joe DiMaggio. 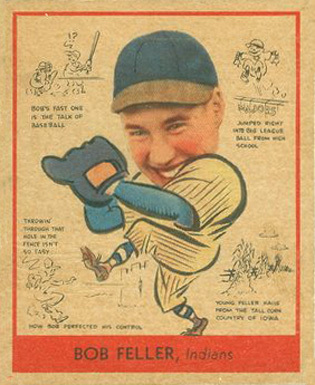 The set is comprised of two smaller sets, one subset only shows the player on the front, while the other subset shows the player and cartoon sketches in the background.